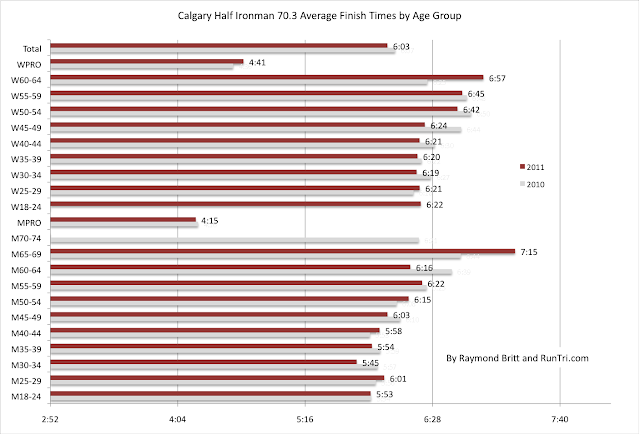 Over 700 triathletes finished this year's Calgary half ironman distance event in an average time of 6:03, a slight improvement from 6:07 in 2010. With these results, Calgary remains among the middle of our Toughest Half Ironman Races rankings. 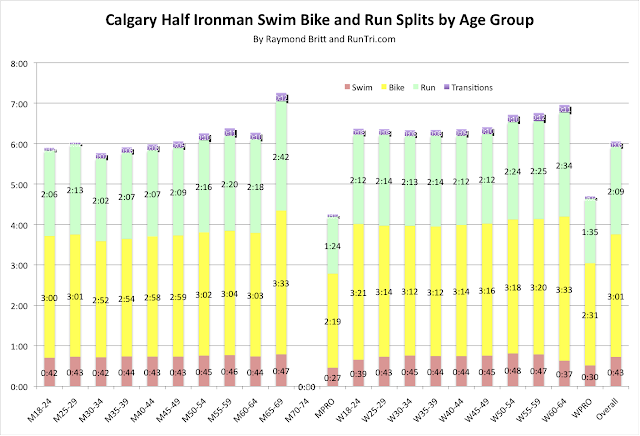 How the average splits turned out: 43 minute swim, 3:01 bike and 2:09 run, with the remainder in transition time. 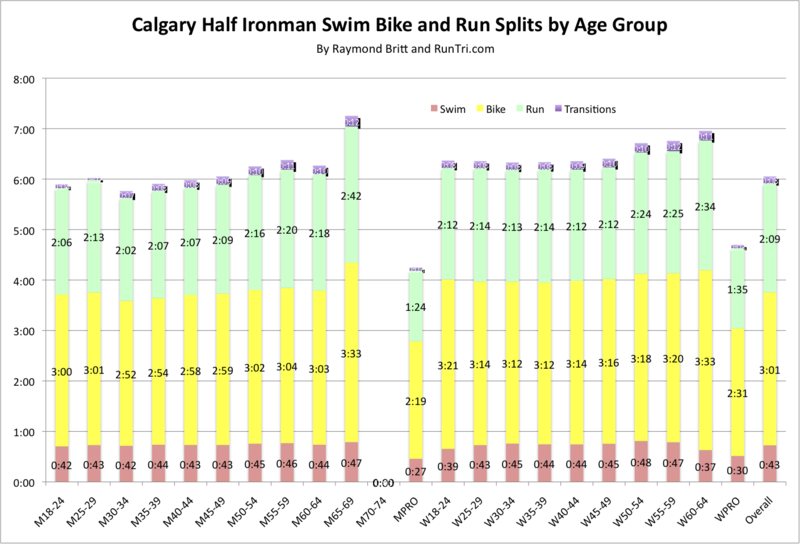 These splits are nearly identical to the average time it takes to finish a half ironman triathlon.